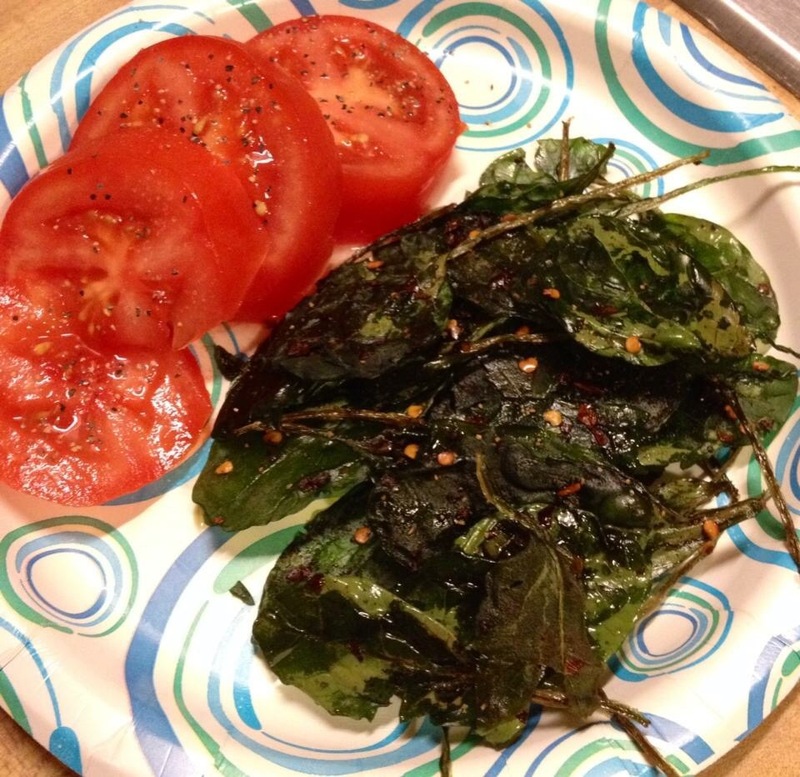 Spinach Chips – Midnight Munchies & More! I had some leftover baby spinach but I didn’t want a salad. So I made these ‘chips’ and then ate them alongside some tomatoes! Cover a cookie sheet in foil and preheat oven to 350. Lightly Pam the foiled sheet and pop a single layer of baby spinach leaves. Lightly Pam the spinach on top and sprinkle a little salt, pepper and red pepper flakes (or just Italian seasoning is good too, really you can use whatever seasoning you want). Bake for about 10 min! Bam! Spinach chips! Super easy and healthy!